The combination of optics and sensors means that Meta and third-party developers can overlay a whole bunch of interesting things into your field of view that you can interact with. 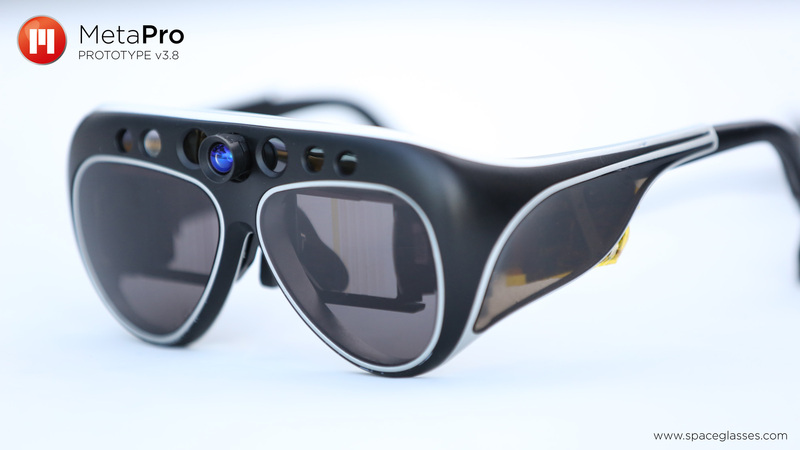 In addition to developing the glasses, Meta’s also done a bunch of work creating software that can recognize hand gestures and display video in 3D. If you haven’t seen a demo yourself, again, read Greg’s post about the capabilities. To make it all work, Meta has put some serious technology under the hood. The Meta Pro will ship with an i5 CPU, 4GB of RAM, 128 GB of storage, Wi-Fi 802.11n and Bluetooth 4.0 connectivity. The whole package will cost $3,000, and the company hopes to ship by June. Then again, Google Glass isn’t the only competitor out there. Oculus VR just raised $75 million to bring its virtual reality goggles to the masses. And it already has 42,000 developer units out in the wild.